The Chinese New Year is approaching and people in China are all getting ready to travel back to their hometown and meet their families. The Chinese New Year, also called the Spring Festival, is the most important traditional festival and most important celebration for families in China. The Chinese calendar is associated with the Chinese Zodiac, it is a repeating cycle of 12 years where each year being represented by an animal and 2015 is the year of goat. Before the D-day, family buys presents, decorations, food, new clothes, people have their hair cut and the houses are cleaned. The aim is to get rid of any bad luck from the previous year and clear the way for good luck. Lights like Christmas lights will light up homes and doors & window are often newly painted in red. 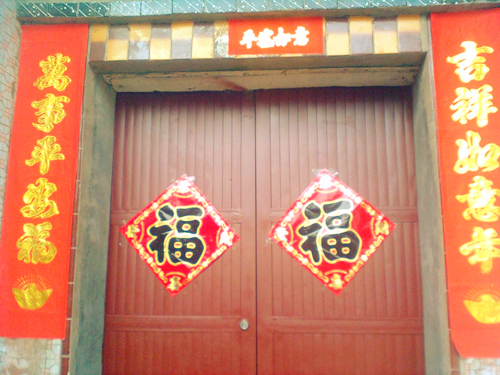 On New Years Eve, both narrow strips of red paper (Chunlian or Spring Couplets), and bunches of firecracker decorations are hung on doors to bring good luck. The Chunlian decorations are marked with messages of good luck. In the first 3 days of Chinese New Year celebrations, people light firecrackers, making a series of loud bangs, which is believed to scare away bad luck. The color red is chosen because it is believed to be a lucky color and it is supposed to chase off the monster Nian, who is thought to come on New Year Eve. The color gold symbolizes wealth. A red lantern is a symbol of luck and prosperity but also as a mean of “lighting the way” for the family’s Kitchen God on an important annual mission to see the Jade Emperor. People want the Kitchen God to give a good report of their family to the Jade Emperor so that they will have a good harvest and make more money in the coming year. Certain dishes are eaten during the Chinese New Year for their symbolic meaning, which is based on their pronunciations or appearance. The word “fish” in Chinese sounds like surplus. For Chinese, it is good to have a surplus at the end of the year, because it is thought that if you save something at the end of the year, then you can make more in the next year. Dumplings are a classic Chinese food. Different dumpling fillings have different meanings. On New Year’s Eve it is a tradition to eat dumplings with cabbage and radish, implying that one’s skin will become fair and one’s mood will become gentle. The longevity of noodles symbolize a long life. Longevity noodles are longer than normal ones. Spring rolls get their name because they are traditionally eaten during the Spring Festival. 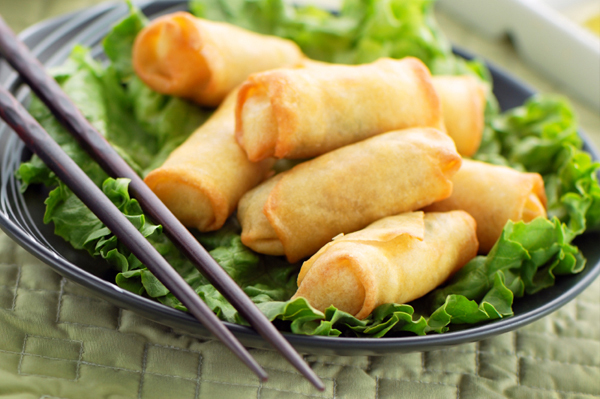 Fried spring rolls look like gold bars and symbolizes a wish for prosperity. Shanghai Metal Corporation would like to wish you a wonderful Chinese New Year celebration, good health, luck and much happiness in the year of Sheep. Gong Xi Fa Cai ! The wonderful Christmas festival is approaching and we’re all excited to get our Christmas presents, to spend quality time with our family and…to stuff ourself with calories of delicious Christmas desserts. We can find dozens of lovely Christmas cakes across the countries, each with its own ingredients, decoration and color. Have you already decided of the Christmas cake that you would like to make for your family or friends ? Let’s find out what people around the world eat during this celebration. Most of the time, this dessert is covered with chocolate buttercream, but we can also find other variations, such as ganache and espresso or other flavored frostings and fillings. This cake usually contains dried fruit, nuts, spices and covered with sugar. It has a long history since the 15th Century. It was at first a tasteless cake made with flour, yeast, oil and water. Since then it has gotten sweeter ! Christmas cake in the UK is made months before the holiday. 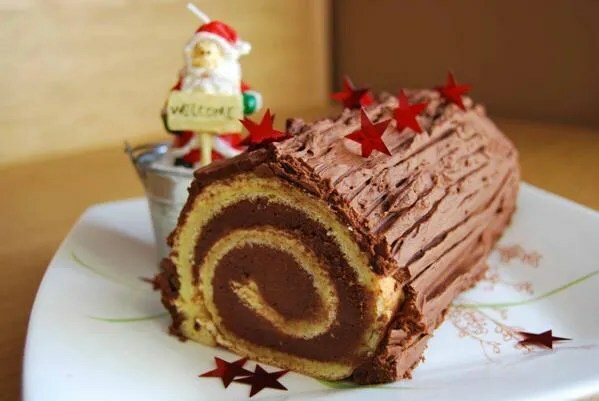 By wrapping the cake like a present, plus the amount of alcohol it has absorbed, the cake lasts a very long time. 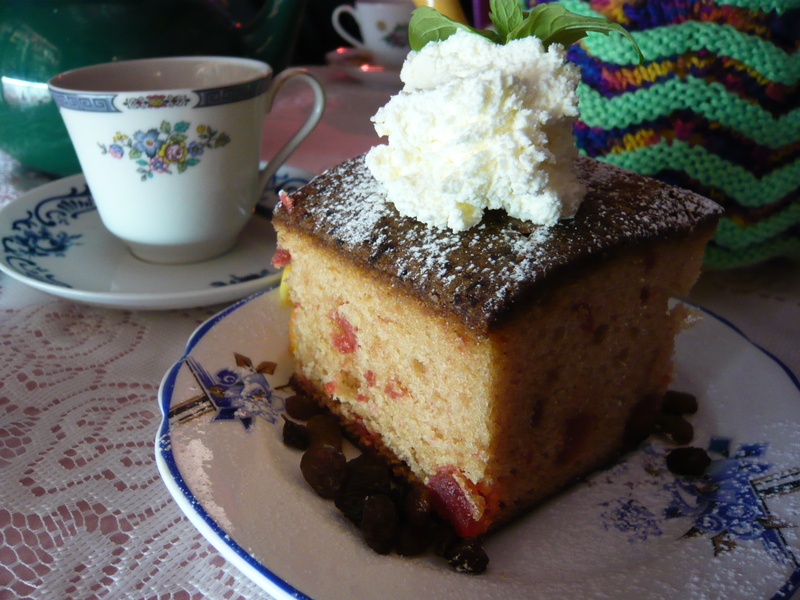 The Christmas cake is not only eat during Christmas dinner but is also enjoyed at tea time or for snacks during the holidays. This cake consists of cookie-like layers held together by prune filling. It is the center of all Icelandic Christmas festivities. 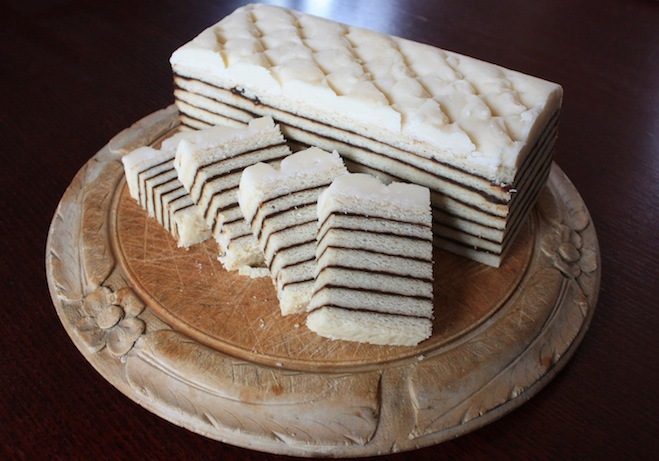 Poland’s anhcient Christmas cake has a unique taste, having a mix of ginger and chocolate. 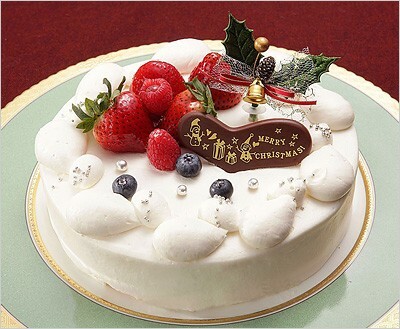 In Japan, Christmas cakes are traditionally eaten on Christmas Eve. There was a time where this term was used to called women who were unmarried after the age of 25, describing them as “unsold”. This is a type of rice cake from the Philippines traditionally eaten during the Christmas season. It has an interesting aroma of toasted banana leaves. This traditional Indian rum fruit cake originates from the city of Allahabad, known for its baking tradition and business. 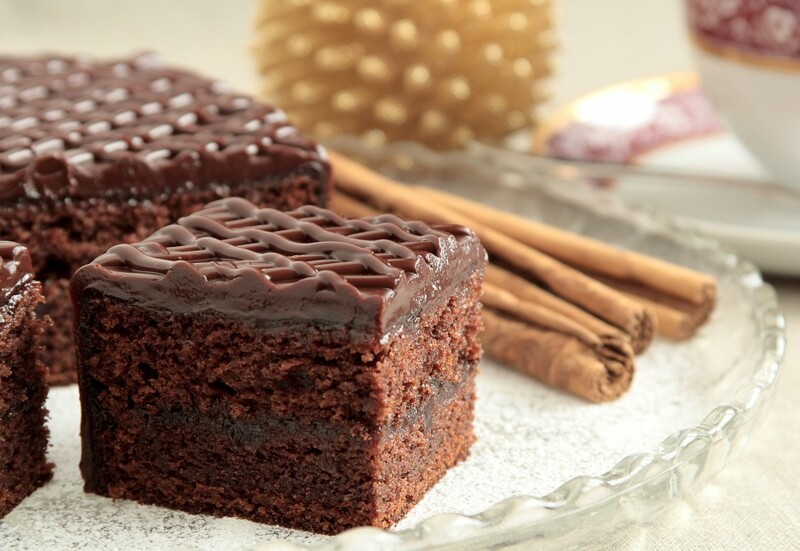 To help you make a wonderful Christmas cakes, Shanghai Metal Corporation can provide you with the best cooking materials. We have silicone molds for example and we are professional in manufacturing metal materials for any activities. If you need any specific requirements for further information, feel free to contact us. Our English speaking staff will be very glad to help you find the most suitable product for you. 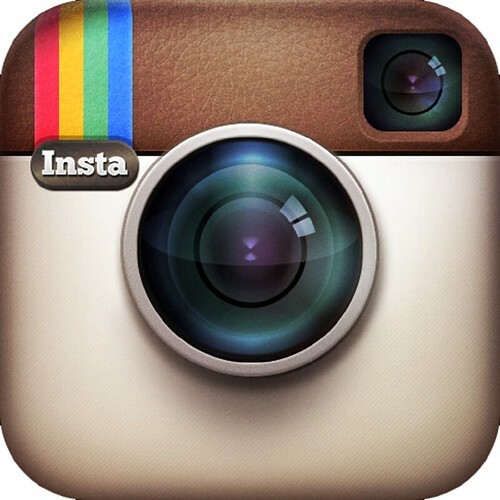 Don’t forget to follow us on social media to discover our other products. 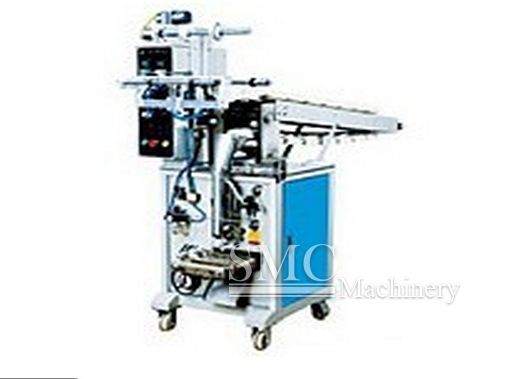 Candy packaging machine or also known as Vertical Packing Machine, basically applied for the packing of granular, strip-shaped, slice-shaped fixed materials, such as various puffed food, shrimp, peanuts., popcorn, rice, chocolate and sunflower seeds. Which is designed based on the foreign advanced technology and the international processing method. 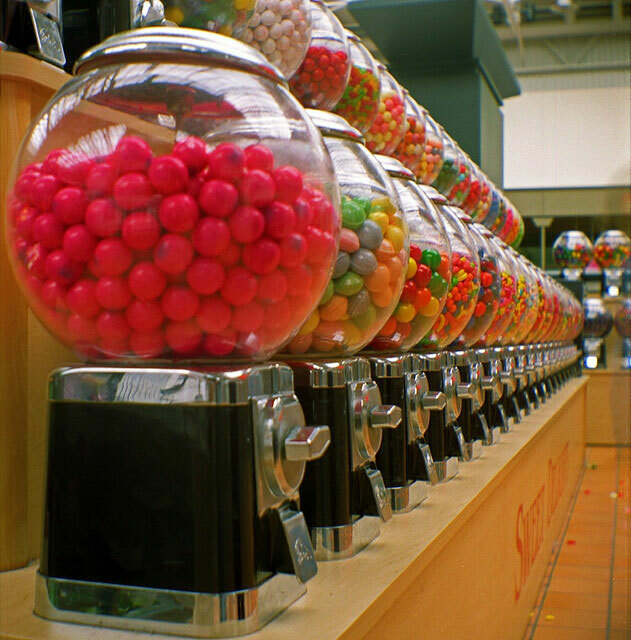 New generation equipment which is special for die-forming hard candy Various types of hard candies, fruit candies and candies with jam or powder centers. 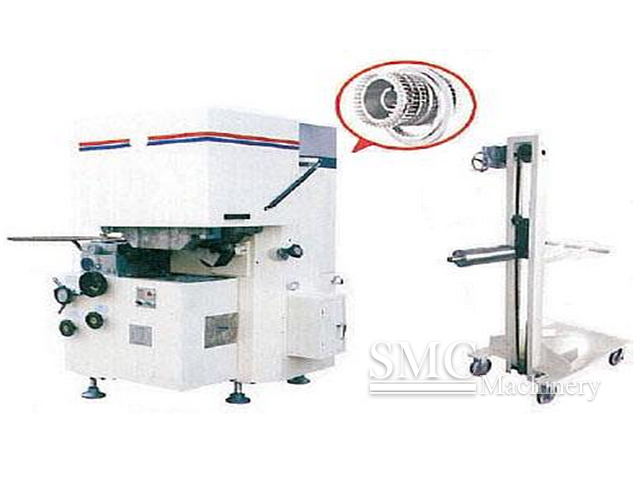 Ball-shaped lollipop packing machine is the necessary equipment for packing ball-shaped lollipop in large, middle-sized and small food factories. It’s not only reduces lot of labors for packing, but also improving the candy sanitation standard and packing quality, greatly improving the production efficiency of the company. 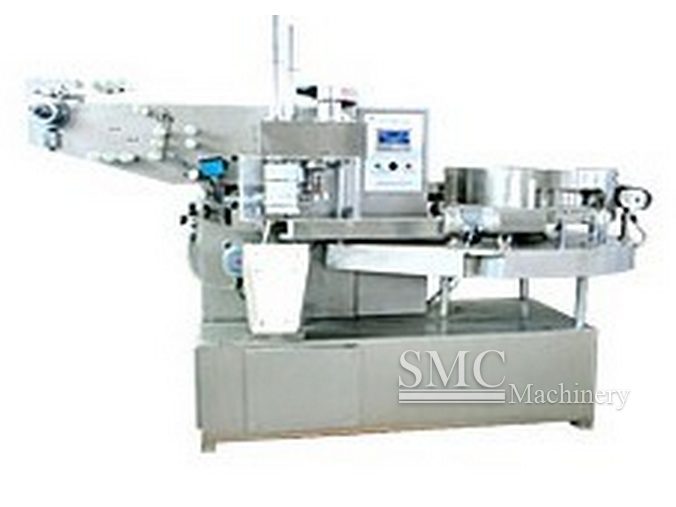 Shanghai Metal Corporation offers customers a wide list of food machine. For more information visit our website or send us inquiry. English speaking staff will help you to choose the most suitable product for you. Download an application by scanning QR code below or follow us on Social Media. Have you ever played with food? You know making some sandwich faces with eggs as eyes, tomatoes as a tongue. Or cutting fruits in different shapes and using them to create a “piece of art”, like palms (bananas and kiwis) on a sand beach (tangerines). The case I am going to write about now is let’s say more professional. 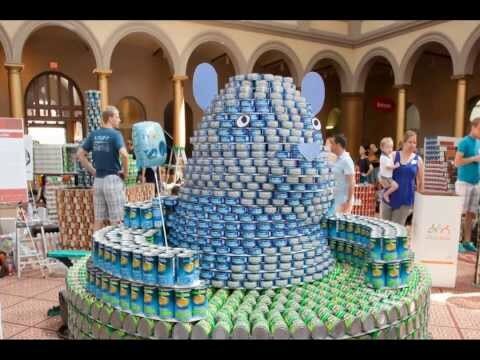 Teams of architects, designers and even engineers were challenging during the 22nd annual Canstruction exhibition where they designed and constructed 3D sculptures made out of only cans of food. 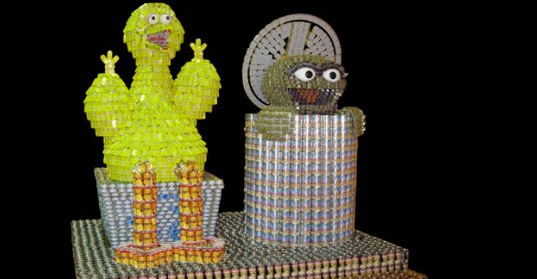 The 2014 NYC Canstruction exhibition hosted and sponsored by Arts Brookfield features 3D sculptures made of 100,000 cans of food. This exhibition has been helping the City Harvest to fill their trucks during the winter period for more than two decades. 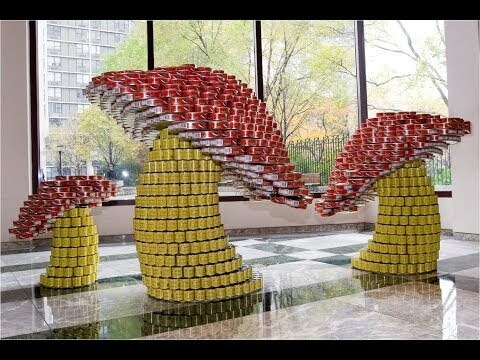 As the poverty level in New York City has been increasing and many people are not sure what their next meal will be, after the end of Canstruction exhibition all the cans will be collected and donated to City Harvest. Shanghai Metal Corporation sells aluminum sheets, aluminum strips, aluminum coils and other aluminum products that are applied in manufacturing food or soda cans. For more information visit our website or send us inquiry. English speaking staff will help you to find the most suitable product for you. Download an application by scanning QR code below or follow us on Social Media. Do you like Chinese hotpot? Going to China and not trying Chinese hotpot is like going to Paris and not seeing Eiffel Tower. There are many kinds of hotpot in China, Sichuan spicy hotpot, Yunnan mushroom hotpot, Beijing style hotpot, Guangdong hotpot or Mongolian hotpot. There is a legend about hotpot that dates back to 1,700 years. Genghis Khan, the father of Mongols, exhausted during the blood battle ordered his cook to prepare a meal for him. Despite the fact that cook found just some sheep on the battlefield, Genghis Khan told him to slice up their meat, boil it in water and serve it up with a variety of tasty sauces. Khan after eating his meal recovered his energy and went to the battle to win. Since that time Mongolian hotpot has become very popular and started to spread across China as well. The Datong hotpot has six parts base plate, fire base, pot, lid of the pot, copper chimney, lid of chimney and it is shaped as a tower around 12 inches high. The inside of a copper pot is coated with tin, it acts as a disinfectant and retains the original taste of food. The production itself is divided into six parts : formation, welding, lining with tin, chisel carving, polishing , assembling and it requires excellent skills of casting, designing and carving. Designs on the pots are very unique, for example dragon playing with phoenix (symbolizing love between man and woman), magpies on plum tree, Eight Immortals etc. There were many wars in Datong, as it is a border city. so the art of making copper hotpots was handed down just by oral teaching and there are not any exact historical documents about making hotpots in this area. However hotpot is still a favourite dish not only for Chinese people. Shanghai Metal Corporation sells high-quality tin coated copper strip, copper sheet plate or other copper products. For more information please visit our website or send us inquiry. English speaking staff will gladly help you to find the most suitable product for you. Download also a new application by scanning QR code below or follow us on Social Media. Food looks more delicious in aluminium and copper bowls! Fort Standard, the Brooklyn studio. 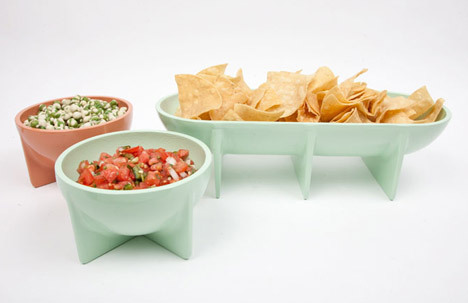 came up with aluminium Standing bowls that are raised on slim angular fins. 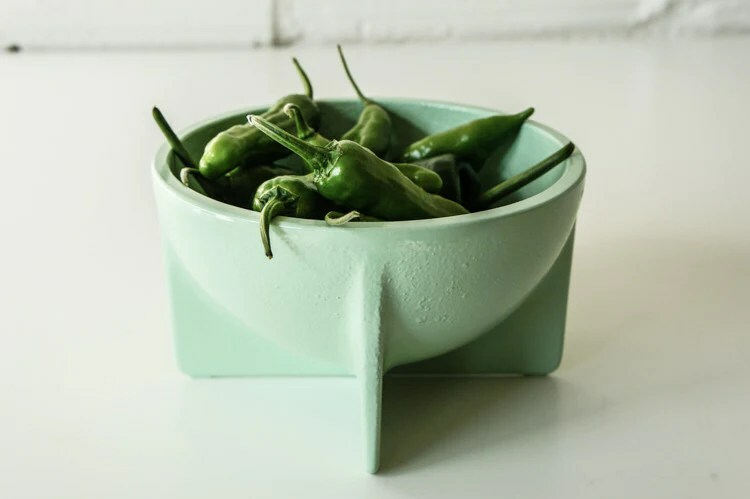 They have bowls made in these finishes : copper-plated, powder-coated in pastel pink and green. 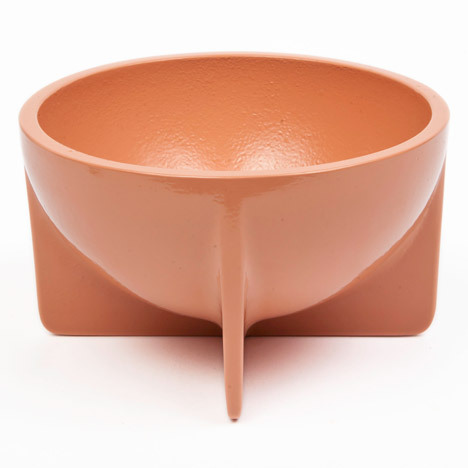 Three colors are added to make the bowls more hygienic for serving and storing food. They chose colors that they found exciting and interesting but also felt comfortable with living with it at home. 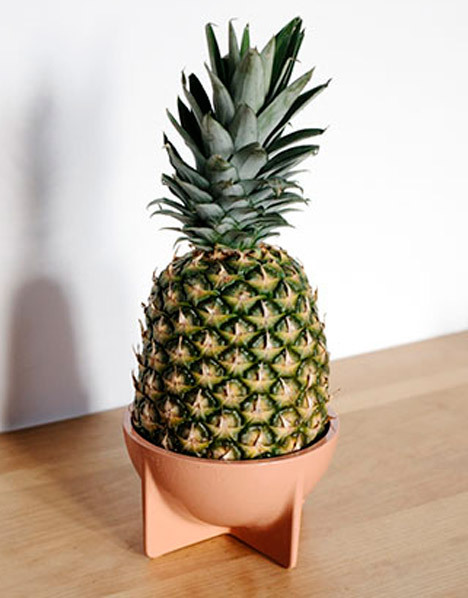 These bowls are in two sizes and shapes : a small hemisphere with a 15 centimeter diameter and a larger 38 centimeter-long oval-shaped bowl. Shanghai Metal Corporation sells aluminium and copper whatever you want to use it for. For more information don’t hesitate to visit our website or send us inquiry. English speaking staff will gladly help you. Download a new application by scanning QR code or follow us on Social Media. An interesting wok test compares the carbon steel wok again the stainless steel wok. 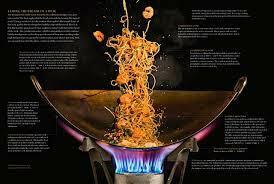 There is a lot of debate over these two compositions of woks even if they look kite similar there are some important difference with their temperature reaction. 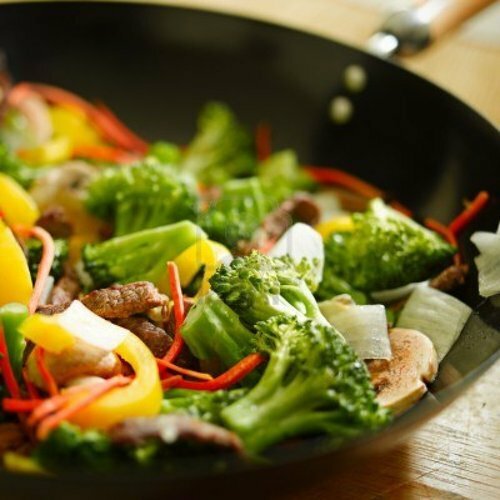 Most people prefer the carbon steel wok over the stainless steel wok because it has the most regular heat dispersion. This is not the case with stainless steel overheated and these hot spots can totally ruin a cooking and reduces long-term quality cooking. On the other hand, the carbon steel has good resistance to high temperatures and retains heat much longer than stainless steel woks for future use. The only downside is that carbon steel requires slightly more maintenance to eliminate the appearance of rusting. We just needs to dry well and rub with 2 or 3 drops of oil to prevent any risk of rust. To have a good wok stainless steel we have to choose the best quality of stainless steel and the final price may be higher than the carbon steel wok. Overall, the carbon steel wok is a better choice for short and long term use. Shanghai Metal Corporation offers a large selection of carbon steel with the highest quality standard and an affordable pricing. To find out more, please visit our Website or send your inquiry here. Our English speaking personnel will be more than pleased to help you. Follow us on LinkedIn, Twitter, Facebook, Instagram and don’t forget to subscribe to our YouTube channel. Or you could try our new mobile app by scanning our QR code.